Zeb Mims and Nick Reed talk about their part in the new theater production company, Up All Night Productions. 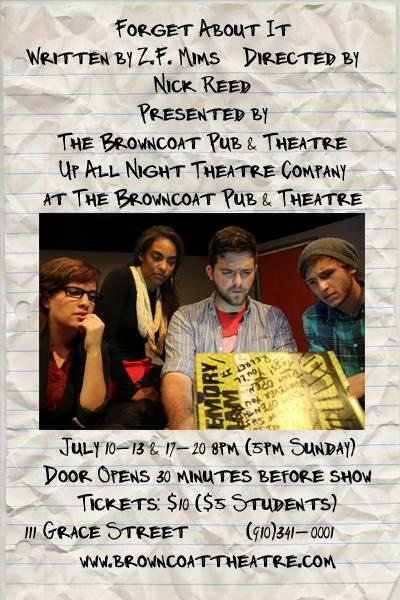 Their first performance is a play written by Mims and directed by Reed called 'Forget About It.' The play is about a man who wakes up one morning unable to recall the past 7 months of his life. The play follows the internal struggle of the protagonist as he grapples with whether to uncover the past 7 months of his life or not. Further details and tickets are now available at BrowncoatTheatre.com. On today's Midday Interview Jemila Ericson spoke with young and aspiring actress Lexi DiBenedetto. 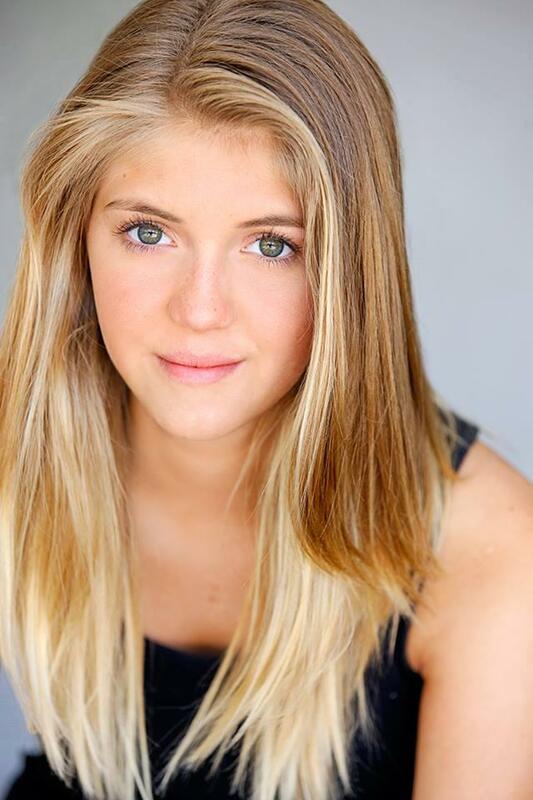 At 15 years old, she already has a prolific acting career, including roles in such diverse films and television shows as "Criminal Minds," "Grey's Anatomy" and "Fallen Down Dead." DiBenedetto is most well known for starring role in the film "Love is All You Need?" for which she received Special Recognition for Best Actress Performance at the 2012 Sonoma International Film Festival. Barbara Raab is co-founder and president of Monty’s Home, a non-profit based in Burgaw that rescues and adopts out animals. Its Pawsitive Partners Prison Program takes dogs from the Pender County Animal Shelter who are about to be euthanized and pairs them up with prisoners in Pender and New Hanover County correctional institutions. The men and dogs go through an 8-week training program together, after which the dogs are adopted by families, and the prisoners have a new set of skills. Wilmington Art Association presents The Budding and Blooming Art Show at Mayfaire Town Center on the Green, Saturday, June 28, from 10 to 4. Forty young “budding” artists will display and sell their work alongside twenty adult “blooming” artists. There will be young musicians performing too, plus Big Al Hall and his group. My guests were visual artists Dorian Hill and Wiio Meinheit and musician Caroline Lemley. The second production of Red Barn Studio's Summer Season is here! In the play 'Red' by John Logan viewers will follow the path of master abstract expressionist Mark Rothko and his assistant Ken as they try to design a series of murals for what is lauded as the biggest commission in the history of modern art. The production will run from July 3-July 26 with showings Thurs-Sat at 7:30 pm and 3 pm on Sundays.